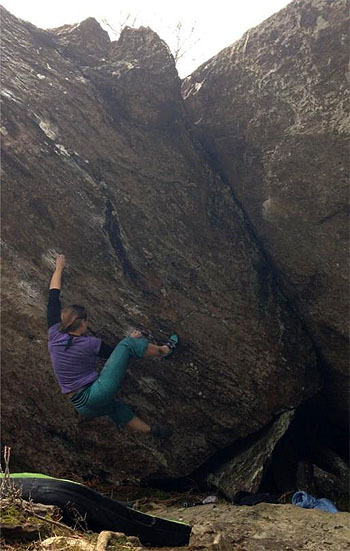 A brace of new problems have been done at everybody’s favourite board style venue: Craig Pont y Pant (aka; Rhiw Goch). 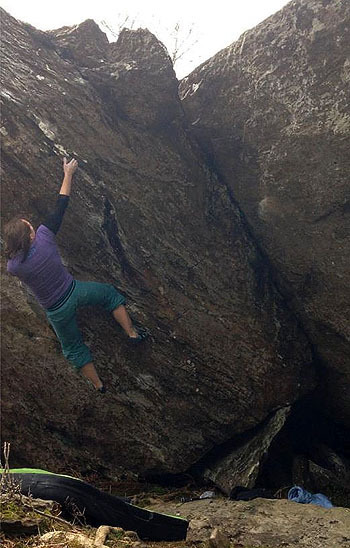 Hardest of the bunch is Jemma Powell’s Arya 7B+ which uses the same two starting holds as Moria, but then takes the higher line leftwards, up to a slot, crimps and then to the big shield up and right. 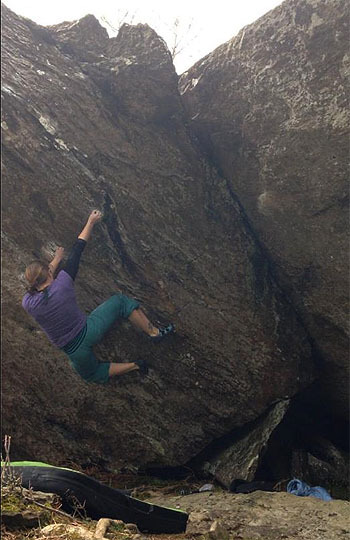 “I'm sure there is probably a tall person sequence, but I flashed Moria and this took me 6 sessions to do, so it's definitely harder than that.” commented Jemma after the ascent. Just to the left, Alex Mason added G.L.O.R.I.A 6C, a lip traverse starting on the left most flatty just left of Lightweight, and following the lip of the steepness into the finish of Moria. It is also worth noting that it is possible to climb White Rider with the left sidewall – this gives a great piece of climbing at about 6C+. And on the grade front, most people seem to rate Moria as 7A+. The next additions were found on a 4m high wall with a flat landing near the main crag and on the same contour, about 100m above and behind Moksha. From the main crag head down towards the road and slightly south-west past some low roofs. Here Mike Goldthorp climbed the slightly highball direct line up the wall; Flaky Wall rates 7A+. The right arête gave a 6A+ called Hodor.